LB, I admire your work so far on your Definition and Causal arguments. Here, I think your lack of academic sources is starting to show. You don’t have a particularly strong “opponent” to refute. But considerable research has been done into the relative effectiveness of battery-operated, hard-wired, old and new smoke detection and fire alarm systems. 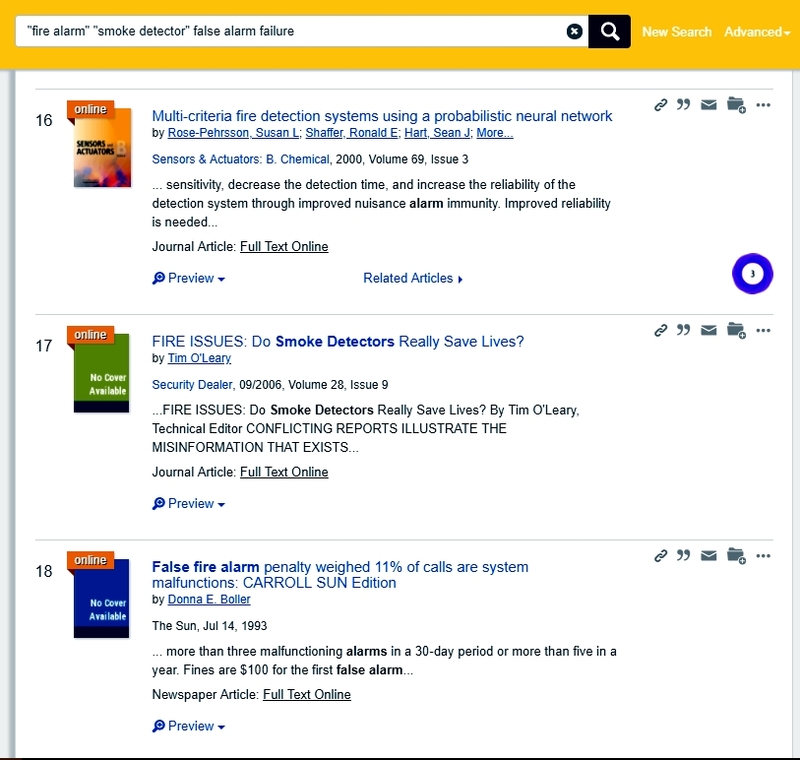 Your research will benefit from a strong selection of sources that come from independent science, not the fire prevention or fire detection industries. I did a simple search of the databases at Rowan’s Campbell Library. This link will reproduce that search if you’re logged into your Rowan account. Sample these sources and others, LB, and see if you find strong opinions that run counter to your own claims. When you encounter opposition from credible sources, you have located the rebuttal arguments your refutation argument must overcome to convince your most critical readers. Does this make sense, and do you think you’ll be able to find what you need? Respond, please. I appreciate the interaction. Thank you for the help, Professor. I do find this very helpful and will look at the library database for these sources and find more evidence for my argument. I will also continue to add to my White Paper to keep track of these sources.